Intact tree avenues at Christmas 2016. Trees cut down, photographed about one month ago. A WHEATBELT property owner protesting the “ruthless” removal of roadside trees near York said talks with Main Roads WA about ongoing clearing were gridlocked. Kauring resident John Salmon and Perth environmental scientist Eddy Wajon met MRWA representatives on Tuesday to discuss local roadworks and the removal of trees to provide about a 6m safe clear zone. 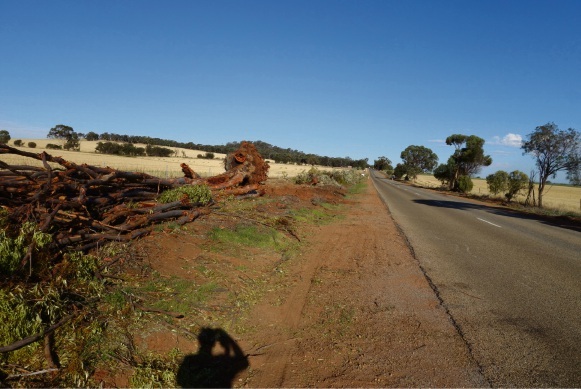 Dr Salmon said many York residents were upset about the recent December-February cull of trees along York-Quairading Road for MRWA’s widening project, and that the level of roadside clearing for the safe clear zone was “extreme”. “There were some particularly beautiful avenues of ancient white gums about 200 to 400 years old and a number of us are pretty upset about this,” he said. He said the trees were a local landmark that tourist buses used to stop and photograph. 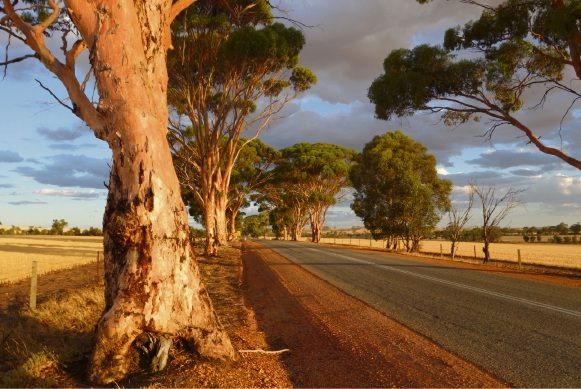 He said the concern was that more Wheatbelt roads would be given the same treatment and more of the region’s iconic trees would be lost. MRWA spokesman Dean Roberts said the minimum safe clear zone requirement of 6m each side of the road enabled drivers to recover safely should they leave the road. Mr Roberts said they regularly widened roads with the aim of improving road safety, with priorities based on crash statistics. 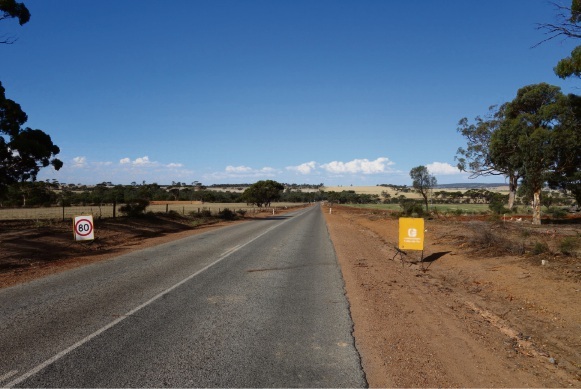 He said the York Merredin Road between York and Quairading had crash densities three to five times higher than the state network average. Mr Roberts said widening works were planned to continue to Quairading town site and Main Roads would continue to review each section and endeavour to avoid removing tress that were deemed to be of significant value. But Dr Salmon said there was a “big gap” between how many trees they wanted preserved and what the state road body was willing to offer. “Tuesday’s conclusion was that they’re willing to talk to us but they haven’t offered anything in the way of compromise of the policy at the moment,” he said. “We’re hoping to put together a delegation from our group that will have a giant inspection of what they’re going to cut and try and work out a compromise on trees that can be saved,” he said. 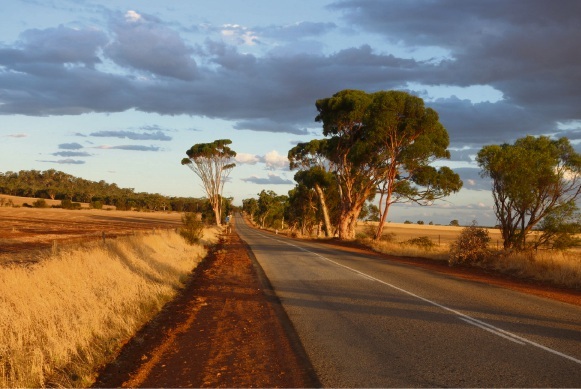 Dr Wajon said removing trees, especially in the Wheatbelt, had many negative environmental consequences, with salmon gums and wandoos part of a Commonwealth Threatened Ecological Community and a habitat for several threatened fauna species. “The trees also provide ecological services such as salinity mitigation, pollination and pest control services (through habitat for insects), as well as beautiful landscapes and wildflowers that attract tourists,” he said. He said trees and other patches of vegetation provided safer roads by creating diversity in the road environment, stimulating drivers and stopping them falling asleep. He said lives could be saved while protecting biodiversity.